What are some interesting research projects related to Industrial Organisation? My answer to What are some interesting research projects related to Industrial Organisation? Check out those related to Circular Social Economics. All future industrial organisation must be towards fulfilment of sustaiable development priorities and active-based community implication. In otherwords, Social Economics with an effective waste management strategy. How will the world change, when the Modernised U.N.? My answer to How will the world change, when the Modernised U.N.? Do we truly expect the United Nations to undergo substantial changes towards ac 21st century modernization? …… I, for one, would bet on it. Political interests of the powers with veto right will never allow same. Do you really think that Islam represents terrorists, such as ISIS? My answer to Do you really think that Islam represents terrorists, such as ISIS? Associating a whole religion like Islam to terrorism & terrorist grouops such as ISIS is a mistake. What is happening behind the scenes with vested interests pulling the strings to direct geo-politics is throwing permanently a false trail away from trhose who control true power. And mind you, it isn’t Islam that’s doing that. As a matter of fact, as a religion Mulslims are pretty divided, probably much more that Christians and the many religious sects that have sprung up in the past centuries. With all that’s gojng on in the world, today’s Thanksgiving has absolutely no sense whatsoever. Seeing what is in store for us in the next few years even makes the scene gloomier. At the White House seats a man who was awarded a Nobel Peace Award too soon that he never made merits to deserve it. At the Kremlin rules an iron-fisted man who never ever thought about peace if it wasn’t in his personal terms. Around the globe, we have rulers sold out to vested interests, puppets that can’t shake a leg on their own. Meanwhile, cruel wars are waged at the whim of wealthy magnates and macho rulers with the Dollar sign branded in their minds. Why should we celebrate Thanksgiving for any of that ? Definitely, here’s one person who isn’t celebrating Thanksgiving this year. via SITGES ELECCIONS MUNICIPALS / ELECCIONES MUNICIPALES. Martin Schulz’s reappointment as President of the European Parliament confirms what has been the behind the scenes talk in Brussels these past days. Always linked to relevant posts in his country, Luxembourg, Jean-Claude Juncker has been far more influential in the financial structure of world macro-Economics than what is publicly known. This is evident by merely reviewing his CV. 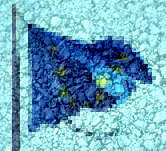 His occupying posts at the International Monetary Fund (IMF), the World Bank (WB), the European Bank for Reconstruction and Development (EBRD), as well as his immense power within the ECOFIN that designed the Euro concentrates in Juncker ties to economic powers that likewise draw up world geo-politics. In obvious contrast, Juncker has always belonged to a socially-prone Christian party whose principles should favour and encourage social action. Nevertheless, he seems to have contributed very little in this direction. We, who lived the years of the transformation from EEC to EU with the Treaty of Maastricht, are aware of Juncker’s key role in the consolidation but also that his economic-prone proposals finally underscored the vision of a more social and just Europe defended by Jacques Delors. Just before he is crowned King of the EU, Jean-Claude Juncker has the approval of almost all except the British Prime Minister, David Cameron. What awaits us in this new rule in which the two main political groups, conservatives and social democrats have signed a treaty to their own interests? Who is the Union’s true ruler? ABDICACIÓN, PUERTA DE LA TRANSFORMACIÓN DE ESPAÑA.